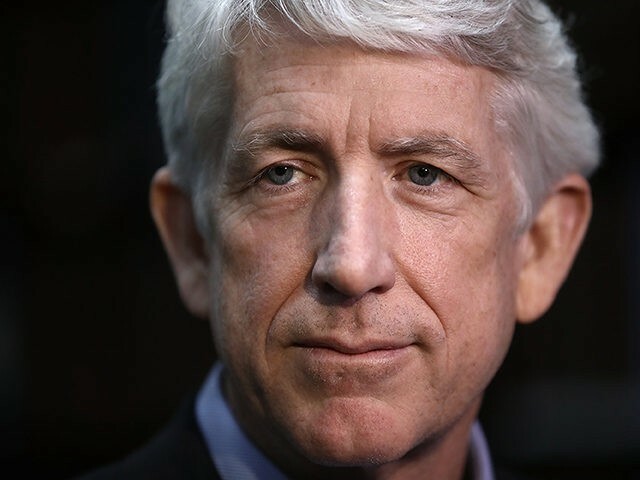 Virginia Attorney General Mark Herring (D) resigned as co-chair of the Democratic Attorneys General Association Wednesday following the revelation that he wore blackface during his college years. “Virginia AG Herring offered to step aside as co-chair and the committee accepted,” a DACA spokesperson said in a statement. In a meeting with black lawmakers earlier Wednesday, Herring admitted to wearing “brown makeup” as part of a costume to resemble rapper Kurtis Blow. “It sounds ridiculous even now writing it. But because of our ignorance and glib attitudes – and because we did not have an appreciation for the experiences and perspectives of others – we dressed up and put on wigs and brown makeup,” Herring said in a statement. The revelation came as Gov. Ralph Northam (D) and Lt. Gov. Justin Fairfax (D) face scandals of there own, plunging the Commonwealth further into political turmoil. Leading Democrats and Republicans are demanding Northam step aside after a racist photo appeared in his 1984 yearbook. The photo, first reported by Big League Politics and later verified by the Virginian-Pilot and the Washington Post, shows Northam and another man in blackface and Ku Klux Klan attire. Several Democrat presidential contenders, including Sens. Kamala Harris (D-CA) and Obama-era HUD Secretary Julian Castro, were among those calling for the governor to leave his post. “Leaders are called to a higher standard, and the stain of racism should have no place in the halls of government. The Governor of Virginia should step aside so the public can heal and move forward together,” Harris said. Fairfax, who is next in line to become governor if Northam resigns, is fighting back against a recently resurfaced allegation of sexual assault. According to his accuser, California professor Dr. Vanessa Tyson, Fairfax assaulted her during the 2004 Democrat National convention in Boston. Fairfax on Wednesday vehemently denied any wrongdoing, stating that the interaction was consensual.